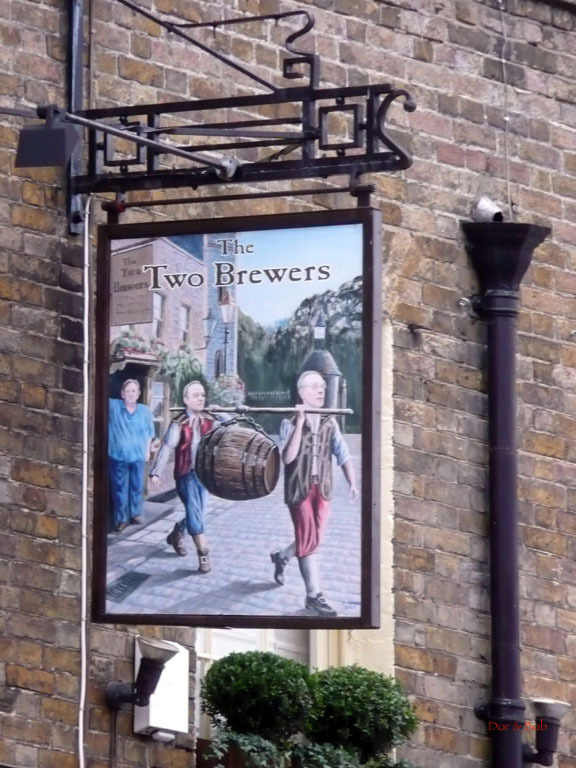 The Two Brewers has a convivial pub atmosphere with low-key conversations through the spaces. 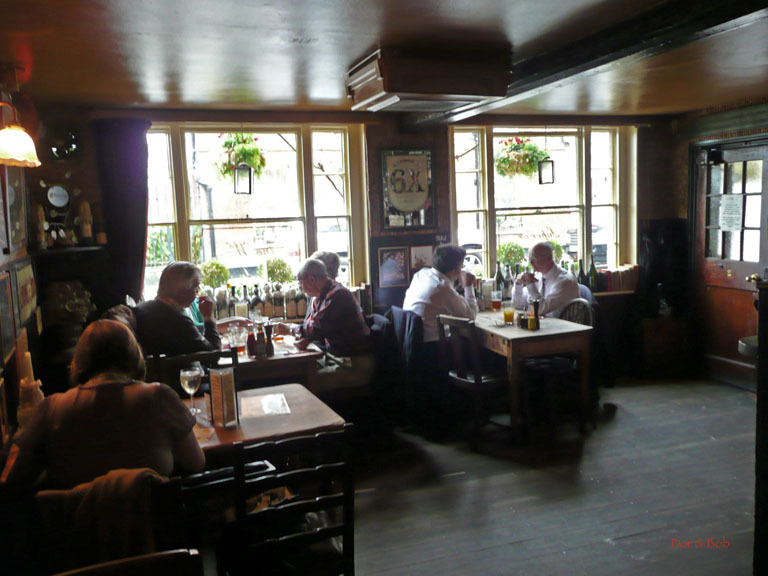 Itâ€™s a cosy place with fairly low ceilings, worn wooden floors, and a warren of small rooms. A coal fireplace warms one of the rooms and framed old prints and advertisements decorate the walls throughout. Outside, the hanging flowers do a great job of dramatizing the brick walls. 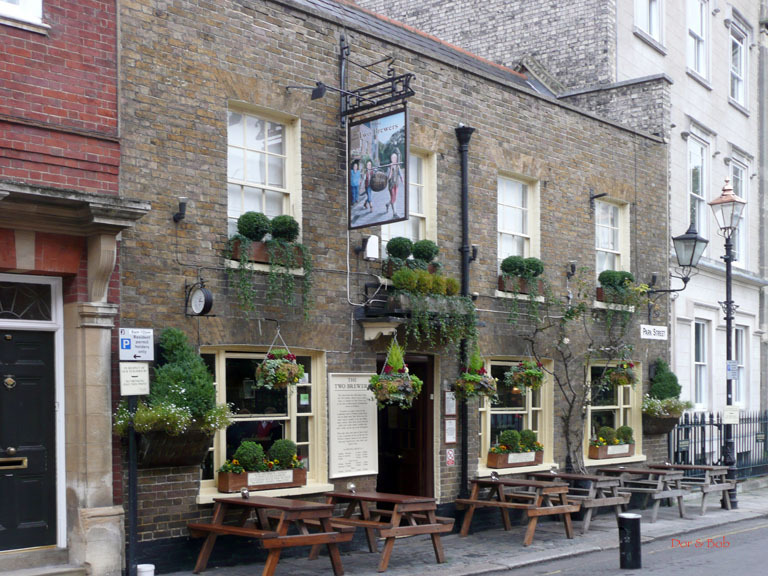 It isnâ€™t easy to stumble upon accidentally but itâ€™s only a very short walk from the main tourist area and just on the other side of the pub is a great view along the Long Walk (a three mile straight run of grass amongst trees that runs downhill from Windsor Castle). 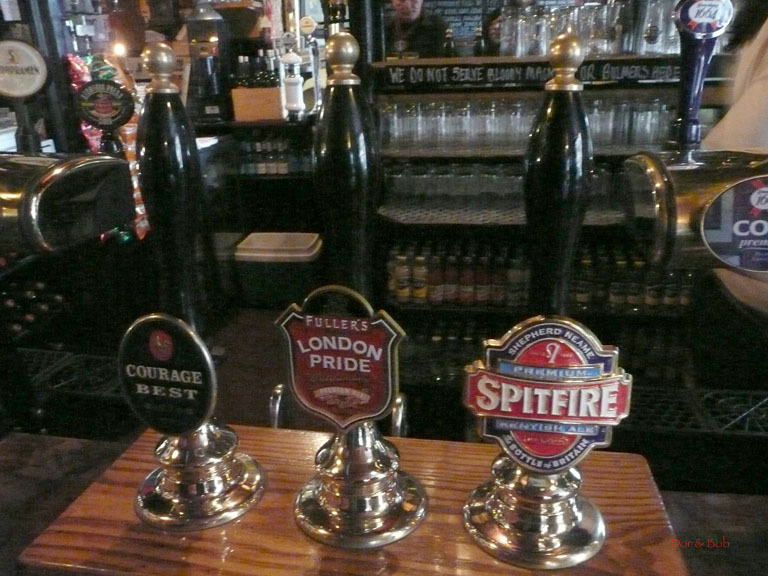 There were 3 real ales on our visit (normally 4): Courage Best Bitter, Spitfire (Shepherd Neame), and Fullerâ€™s London Pride. We had two good sandwiches (Coronation Chicken and Smoked Salmon) and there was a respectable range of other pub-style food choices.